Media Guidelines made by the Election Commission to guarantee just and fair use of mass media at all future elections will be presented and passed in Parliament next week. 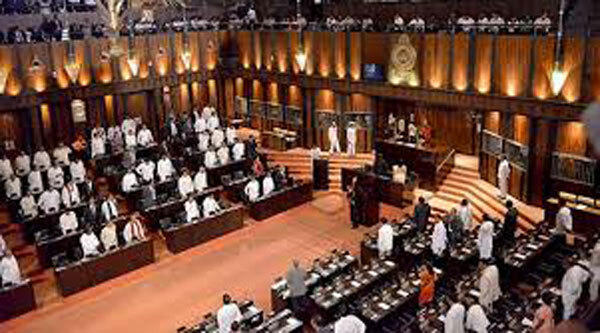 The Government will present the Extraordinary Gazette stipulating 32-point guidelines for all the electronic and print media organizations on January 23 and it will be passed following a brief debate on January 24. The guidelines have been prepared by the three-member Election Commission to ensure a fair and independent election. Prime Minister Ranil Wickremesinghe placed his sign on the Gazette on January 2. The guidelines have imposed strict conditions on reportage of opinion polls in the print and electronic media. “Any electronic media which broadcasts or print media that publishes the result of an opinion poll shall announce or publish the name of the organization conducted such poll, the organization or the person commissioned and funded such poll, methodology employed, the size of the sample, margin of error and the period of fieldwork. Further, the broadcaster or publisher should state that such poll reflects the public opinion only at the time of such poll,” the guidelines stated. The guidelines have barred broadcasting, telecasting or publishing propaganda that may create or induce hatred and intolerance among people on various grounds including the religious beliefs, faith practice, languages spoken, ethnicity, customs and castes. The guidelines have emphasized that every media institution should provide accurate, balanced and impartial information in broadcasting or televising their news bulletins and any other programme relating to political matters. The neutrality and impartiality of media will be monitored regularly by the Standing Committee of Permanent Representatives on Elections Complaints and the Standing Committee of Permanent Representatives on Media Guidelines. “It shall also be the responsibility of the administrators of social media sites to follow these guidelines as applicable to them, during any election period,” it added.